This means that the owners of websites which allow the posting of classified ads, such as Craigslist, could face charges or prison terms even if third parties misuse the service to promote prostitution. 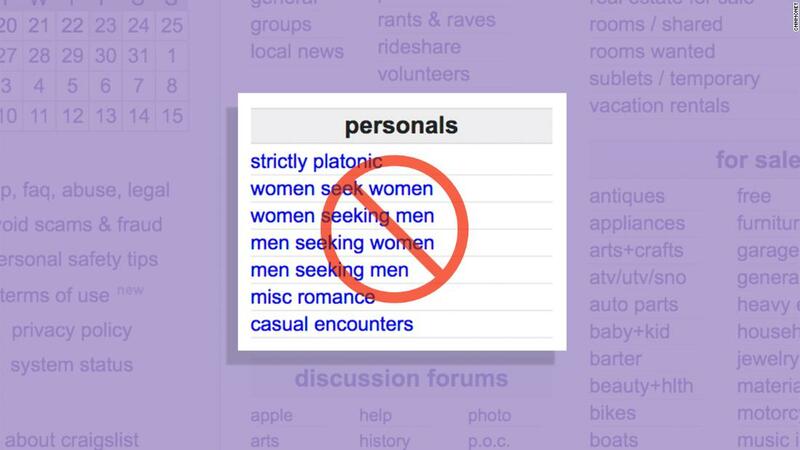 Over the years, Craigslist’s ‘personals’ section has developed something of a cult following in the U.S., spawning Twitter accounts devoted to sourcing the strangest, funniest and most heartwarming posts. One such account, called CraigslistLove, has nearly 60,000 followers. However, the site has also been used in the past for listings for escorts. I knew we were meant to be the moment you said Hillary Clinton was a lizard person.